How to edit iPhone bookmarks? Home » How to edit iPhone bookmarks? This article shows how to quickly edit bookmarks on your iPhone using CopyTrans Contacts. 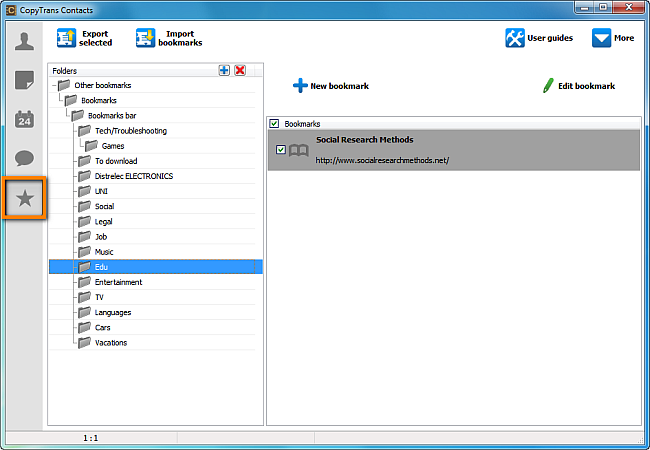 Important: due to low demand, support of bookmarks is presently disabled by default. 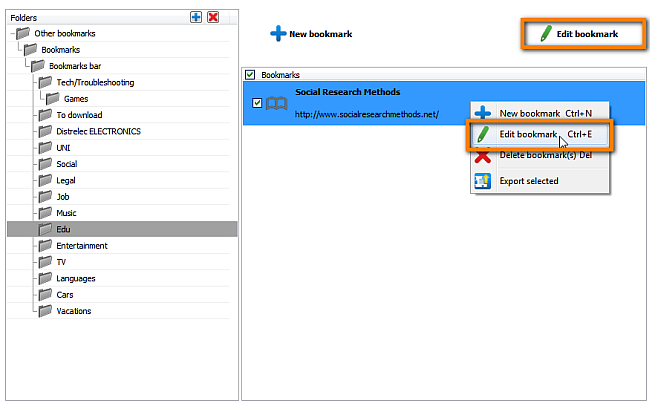 However, if you want to use this feature, learn how to enable bookmarks. Run the program and connect your iPhone. From the main CopyTrans Contacts window click the star icon on the left-hand side pane. Your iPhone bookmarks will now show up. 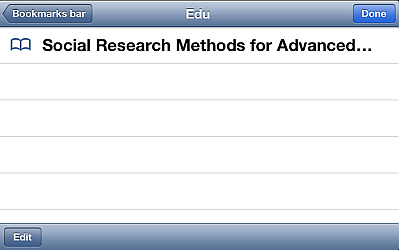 Select the bookmark folder on the left from where you wish to edit iPhone bookmarks. Next select the bookmark entry you want to edit, and click the “Edit bookmark” button. You can now make changes to the iPhone bookmark title and URL. When ready, click “Apply changes”. The changes will be applied directly to your iPhone bookmarks. This is how to easily edit iPhone bookmarks using CopyTrans Contacts.